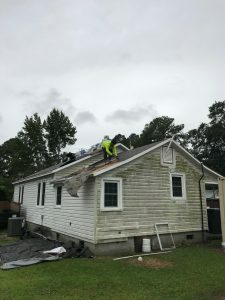 HCR and GAF are partnering with Habitat for Humanity Elizabeth City, NC to provide roofing materials and professional installation for a local Habitat house. 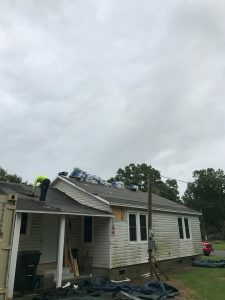 The installation and materials donations are part of a national partnership between GAF and Habitat for Humanity, to match roofing materials donations from GAF with installation services donated by HCR, a GAF Master Elite® and Certified ™ Contractor. HCR is one of more than four thousand GAF Master Elite® and Certified™ Contractors who are eligible to participate in the partnership. 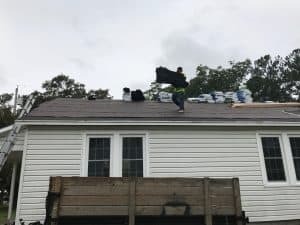 The installed roofs will carry GAF’s System Plus ltd. warranty. 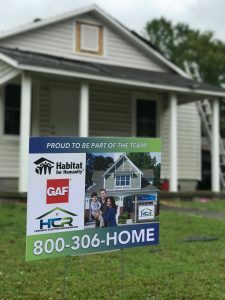 Installation of the first joint HCR and Habitat For Humanity Roof installation is slated for September 2017. 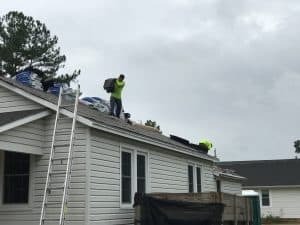 *Update – Install in Elizabeth City is complete. 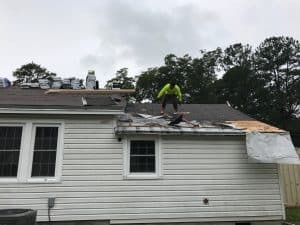 Here are a few photos of our team hard at work to provide a safe and functional roof for this home.